‏۳۱ ژوئیهٔ ۲۰۱۰، ساعت ۱۶:۳۵ ۱٬۲۰۰ در ۶۰۰ (۴ کیلوبایت) Kaiser Torikka I made the green colour darker to match with the CIA world factbook and photos of the flag in Kuwait or abroad. 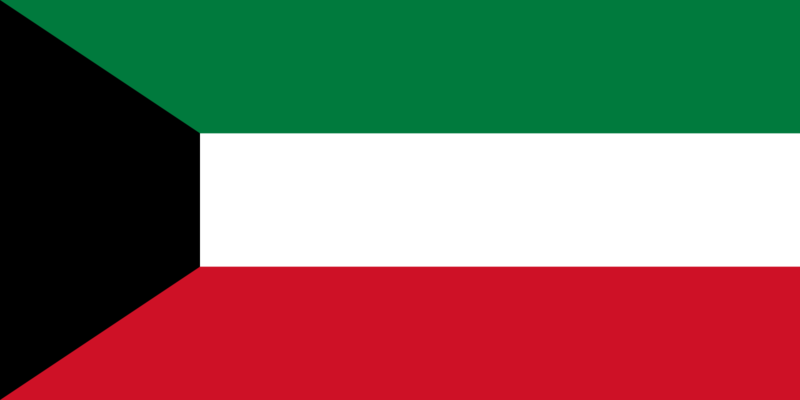 A picture of the Kuwaiti football team was also used as reference. ‏۲۸ مارس ۲۰۰۷، ساعت ۰۸:۱۶ ۱٬۲۰۰ در ۶۰۰ (۳۰۹ بایت) Fibonacci Simplified code.